DYNAMIC PRO SPORT coilovers are designed and developed for all motoring enthusiasts wanting excellent handling without sacrificing comfort. Vehicle ride height can be lowered 50mm ?. 100mm from factory (varies per application). # 181400 und # 181419. Stoßdämpfer kpl mit Feder (ET-Nr 181419) für FERRARI 360 Challenge vorne. Original Ferrari 612 Scaglietti amortiguador amortiguador delantero. Ferrari 612. Fabricante FERRARI. Amortiguador delantero. Combustible Gasolina. Ejecución UE. Código de motor. Zustand (siehe Foto). Wir weisen darauf hin, dass es sich um Gebrauchtware handelt. Informationen über den Verkäufer finden Sie auf der ". Ferrari 360 Modena Spider komplett Fahrwerk Stoßdämpfer. Gebraucht, voll funktionstüchtig. Aus einem Ferrari 360 Modena mit 38tkm. FERRARI 360 MODENA. non si accettano reclami relativi a normali segni di usura dei ricambi. Ferrari F430 Scuderia, Scuderia 16M. Una vez que recibamos el artículo en nuestra oficina lo haremos. antes de tomarlo y antes de firmar por él. Koni Classic dampers use highly evolved damper technology to give you superior driving comfort and better handling. Koni Part Number: 82-1984SP6. Ferrari 512 BB, 512 BBi. Price is for one shock absorber only. Koni Classic dampers use highly evolved damper technology to give you superior driving comfort and better handling. Koni Part Number: 82-1984SP6. Ferrari 365 GT4 - BB. Price is for one shock absorber only. G3 Ferrari G40001 Profi-sistema de planchado gris/blanco,Planchado profesional,Potencia caldera 1350 W,Emisión instantánea del vapor,Mango ergonómico aislante de corcho,Potencia total: 2200 W.
ET-Nr 183633 ers 157633. 2Stoßdämpfer vorne für FERRARI 355 -neu-. Guter Zustand (siehe Foto). Wir weisen darauf hin, dass es sich um Gebrauchtware handelt. Verwendungsbereich:Ferarri 456 GT / GTA. 458 Italia, 458 Spider. FRONT SHOCK ABSORBER. Partes nuevas originales para Maserati 3200 GT y el Ferrari 456, 355, F50, F40, 550 Maranello y barchetta con suspensión de deporte electrónico. ¿Puede la parte deseada o el trabajo deseado, para su Maserati, Ferrari, Lamborghini o Porsche no?. Koni Classic dampers use highly evolved damper technology to give you superior driving comfort and better handling. 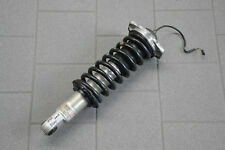 Koni Part Number: 82-1983SP6. Ferrari 308 GTB, -GTS. Price is for one shock absorber only. Ferrari Part Number: 151860. Ferrari 512 TR. 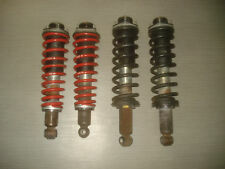 1 x Rear Spring & Shock Absorber C/w. Coil Spring. Genuine Ferrari 458 Speciale & Speciale Aperta Front Shock Absorber. TeileNr. : 153814. Wurde von Ferrari 456M GT Coupe Schaltgetriebe ausgebaut. NON STOP CAR. © NON STOP CAR. Zustand: Gebraucht, voll funktionstüchtig. Koni Classic dampers use highly evolved damper technology to give you superior driving comfort and better handling. 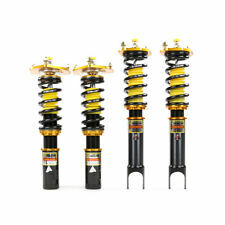 Koni Part Number: 82-1579SP2. Ferrari Dino 206 GT, 246 GT, 246 GTS. Price is for one shock absorber only. Genuine Ferrari 456 550 575 612 Shock Absorb er Ball Joint Bush. Original Ferrari 612 Scaglietti Stoßdämpfer Federbein für hinten. Modell 612 Scaglietti. Farbe Blau. wie abgebildet mit normale gebraucht spuren. Ferrari 612. REAR SHOCK ABSORBER. Wir bemühen uns das Beste für Sie zu tun! Amortiguador 174722. Original Ferrari F 360 amortiguador amortiguador delantero completo. Ferrari 360. Fabricante FERRARI. Amortiguador delantero. Einbauposition Links. Motor V8 3.6 L. Combustible Gasolina.